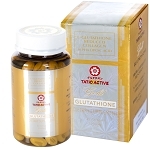 - Combines 2 powerful skin lightening ingredients, Glutathione & Papaya- Large 135g bar. Formulated with vitamin C, E, Tiny white complex for maximum whitening effect and smoother, softer and younger looking skin. Dermatologist tested. Net Weight 135 grams New Stock Export Quality. A very promising whitening soap! It smells good and smooth to my skin!